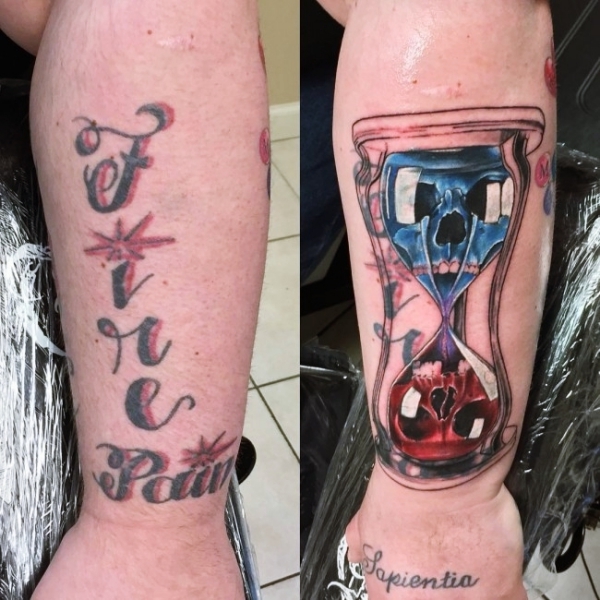 Somebody forgot to hand over a reality check to your tattooist, and by your visit over here, we can see that he has messed up with your desired design for something, let’s say a lot less desirable. 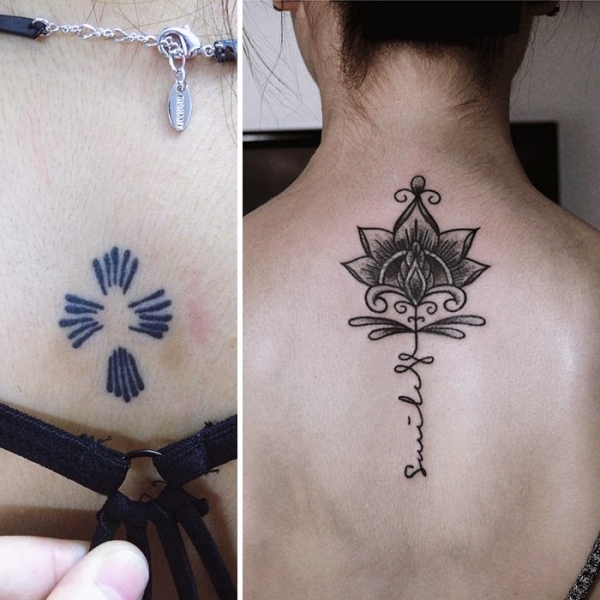 Well, it is still the 21st century, and if we can think of head transplants, we can surely think of ways that can help you cover up your hideous tattoo with one you’d favor and thus, appreciate with all of your heart. Whatever it is that you need to know about, read these tips and no queries will be left unanswered then. 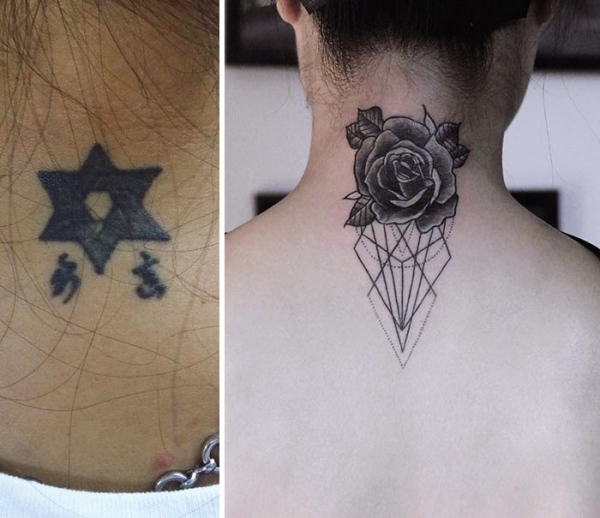 Cover-up tattoo ideas will be more useful for people who have their ex-partner’s name imprinted onto their skin or for those who got misspelled tats inked. 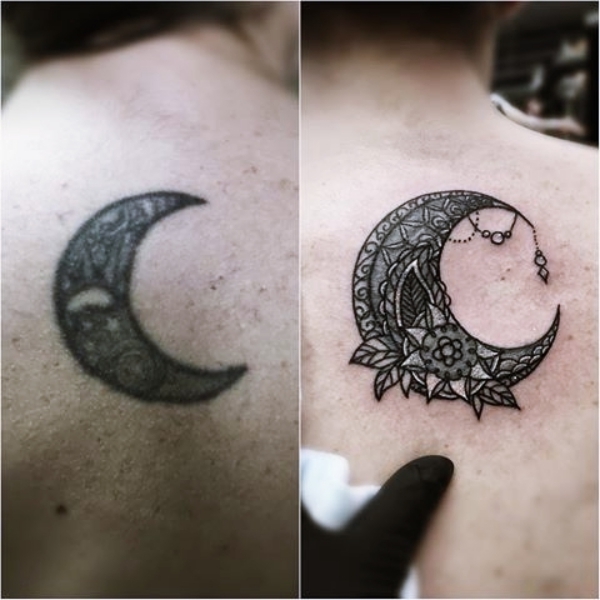 While there are many like you out there, there are also people who are still crying while getting out of the tattoo studio, hoping that they had never gone to that tattoo studio ever. 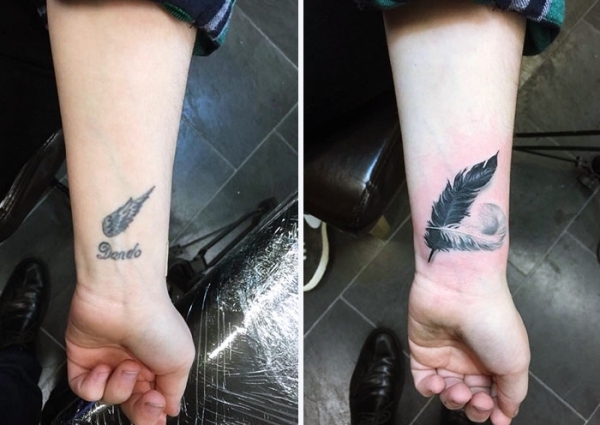 While you’re busy ruining your mascara or wetting your beard over spilt milk, allow us to tell you how you can amend tattoo mistakes with simple, easy and genius cover-up tattoo ideas. 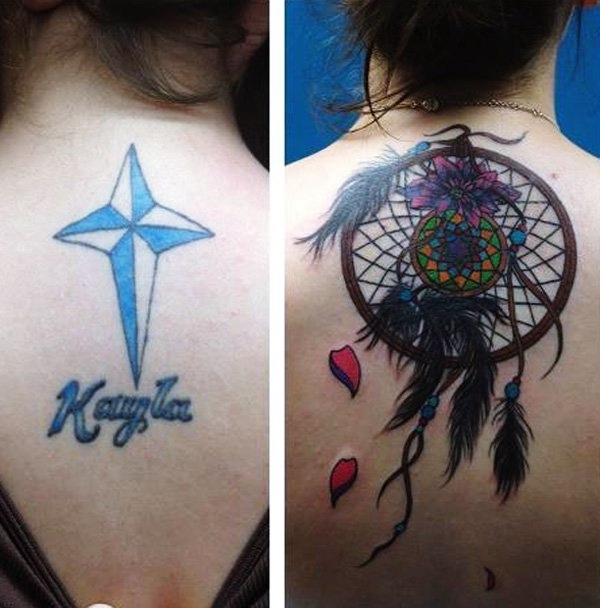 Let’s just say that your tattooist has committed the biggest mistake of all blunders and catastrophes. 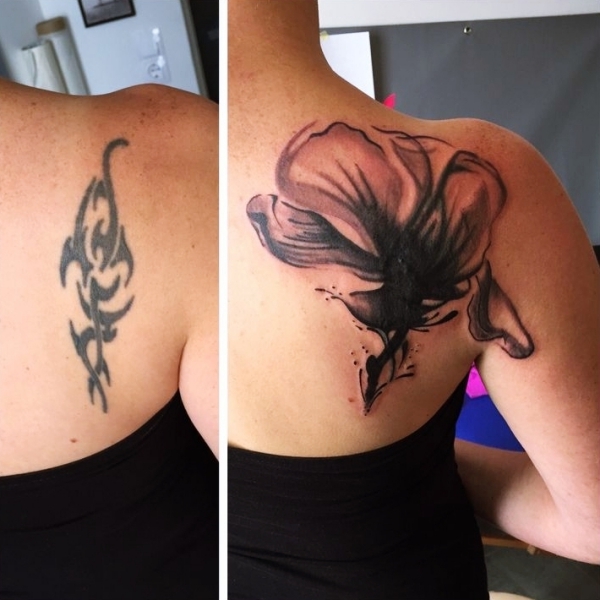 Considering it a mistake, this would be the perfect time for you to either go to a new tattooist on the block, or refer to a cover-up tattooist who is rightfully skilled at the job. 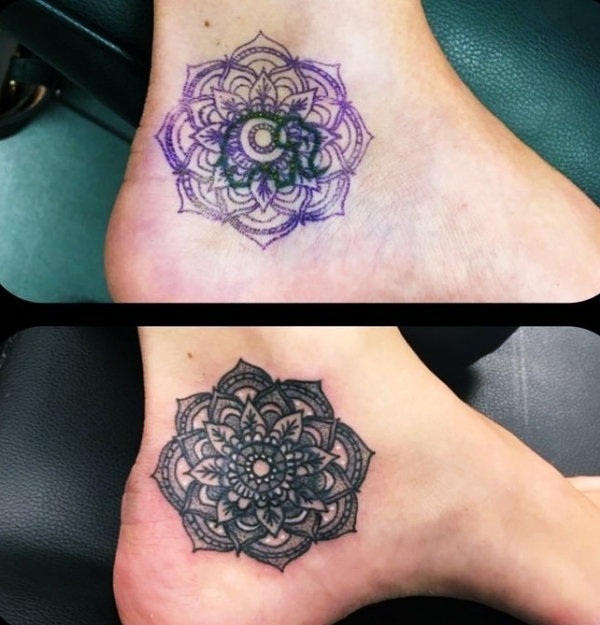 This is because most original tattooists are quite poor at doing cover-ups, so it would be better if you take the step after fully reviewing your options well. 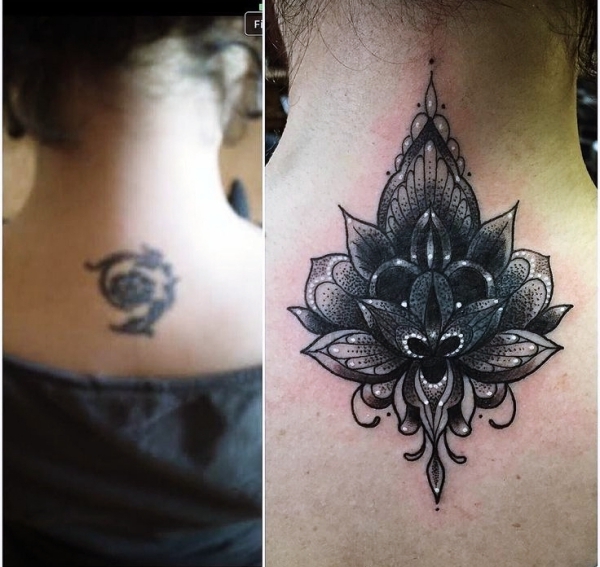 Irrespective of any shape, size or color, sit with your cover-up tattooist and discuss how you can work up swell cover-up tattoo ideas that will best camouflage your previous design. 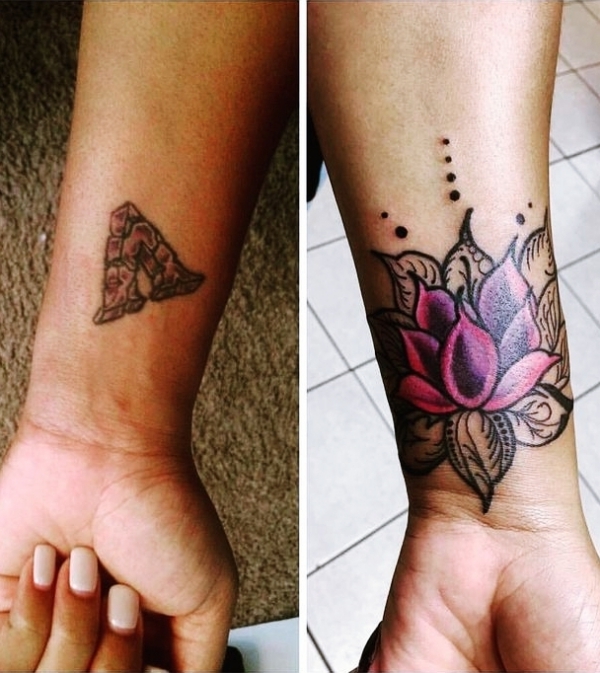 Thinking about the proper and comfortable position or body part to get inked is also a big task. 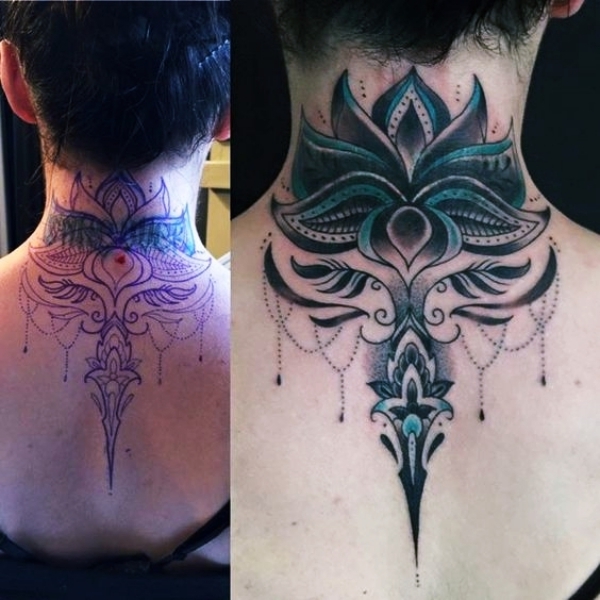 Usually, cover-up tattooists use different colors and out-of-the-way patterns to hide the tattoo, while many concentrate on fusing the previous design with the cover-up so that the new design doesn’t look inconspicuous but rather looks genius and a work of art. 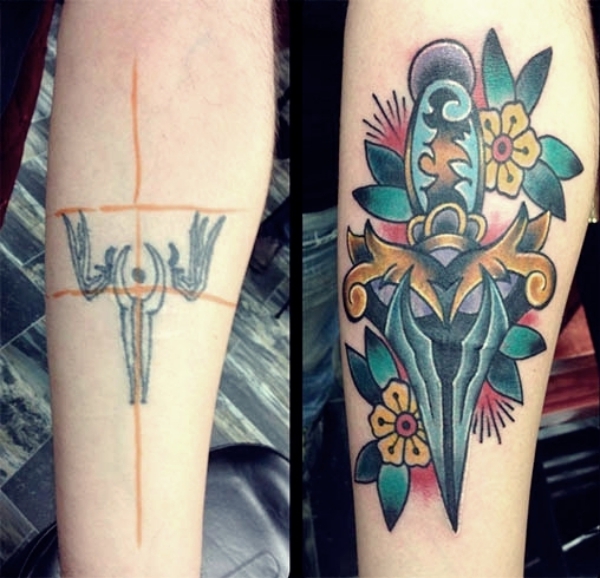 As compared to the size of your tattoo, you’d have to go for a fairly larger cover-up now. 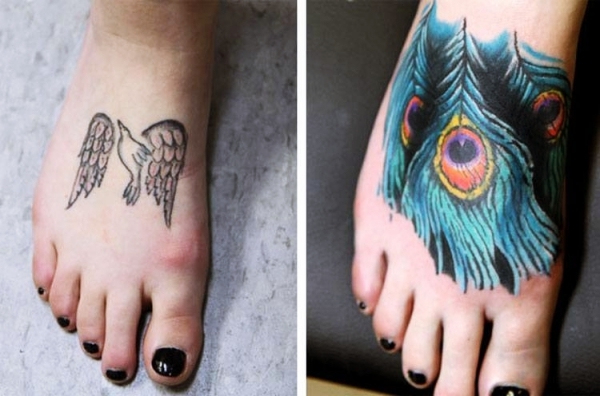 In addition to a larger size, you have to decide on the color palette as well. 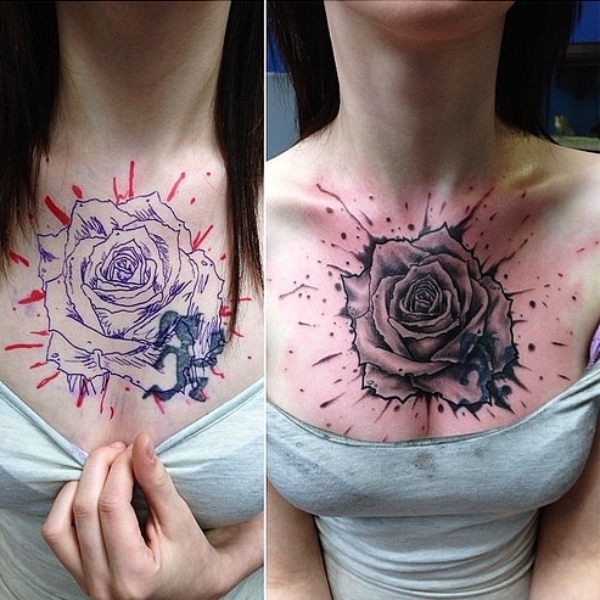 Most people go for dark colored tattoos in their first go, and covering it can be difficult. 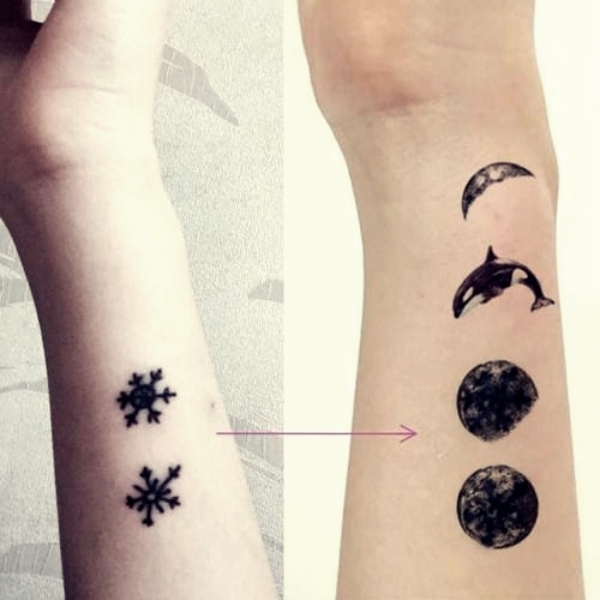 There are certain limitations here, since a dark colored tattoo can be covered up with a similar color palette, or perhaps, involve a mixture of bright colors fused with the dark as well. 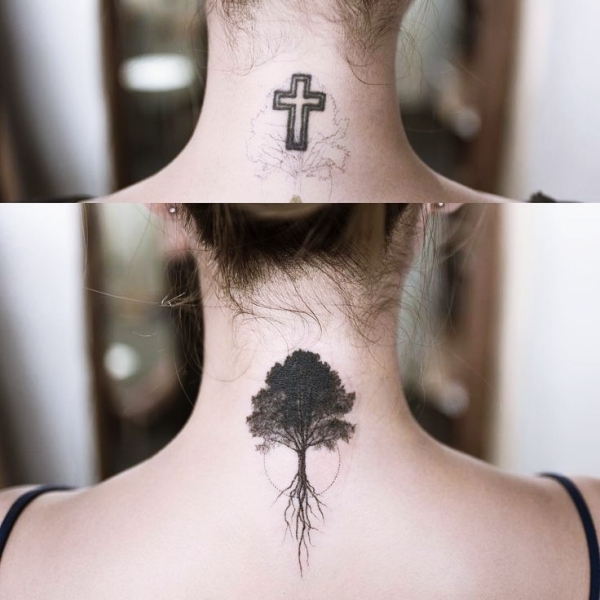 Like most pictures shown below, we think you can huddle up your own design if only you think carefully and attentively. 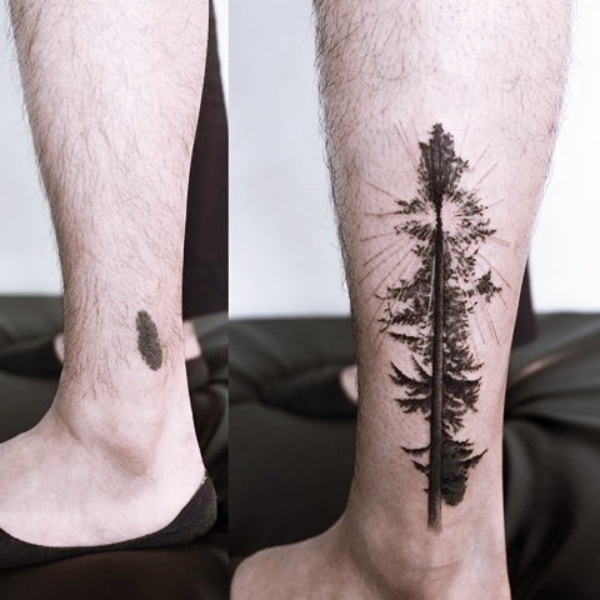 Since you have to go for a larger design, take your time and think of cover-up tattoo ideas that are creative and spellbound. 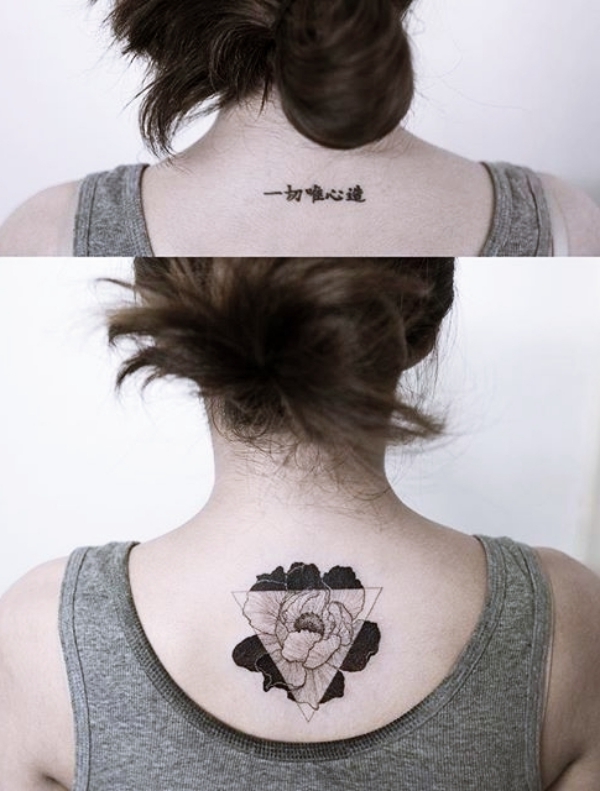 Unlike the last time, you have to be really attentive this time. 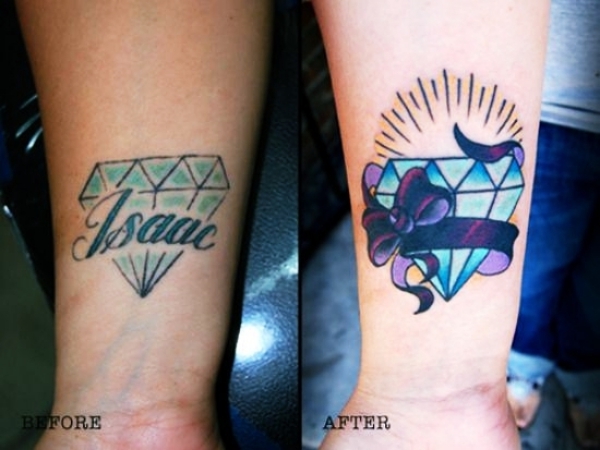 As your cover-up tattooist fills up your old one, pay attention and stay ahead of your senses. 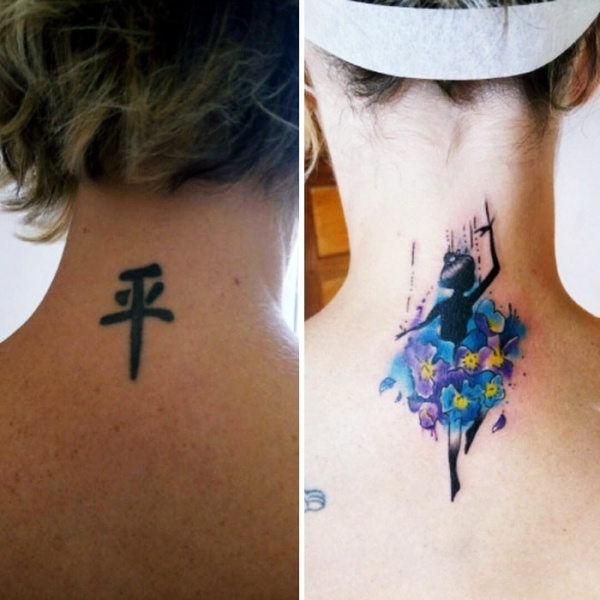 Covering up a dark tattoo is really hard, especially if your heart is not set on coverup tattoo ideas that are also dark or slightly dark and with fewer colors.